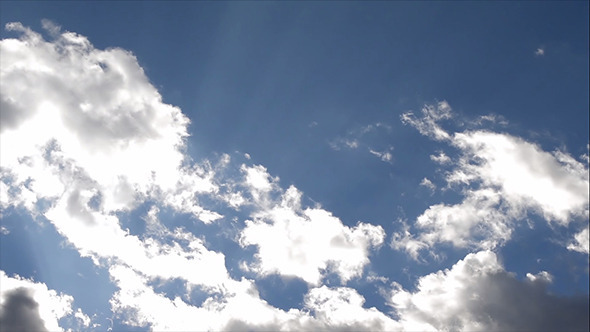 Clouds time lapse stock footage video. If you need help leave a comment or contact me. Last Update: 15 September 15 ; Alpha Channel: No; Looped Video: No; Frame Rate: 29.97; Resolution: 1920x1080; Video Encoding: H.264; File Size: 181MB; Number of Clips: 1; Total Clip(s) Length: 0:58; Source Audio: No; Color: Full Color; Setting: Outdoors; Pace: Time Lapse; Composition: Wide Shot; Movement: Lockdown. Moving Clouds On Blue Sky; Moving Storm Clouds; Cow Feeding; Brown Goat Eating; Cow Eating Grass; Two Daisies; Cow. Keywords: above, air, atmosphere, blue, clouds, cloudscape, fast, heaven, light, sky, skyline, skyscape, sunshine, time lapse, up.